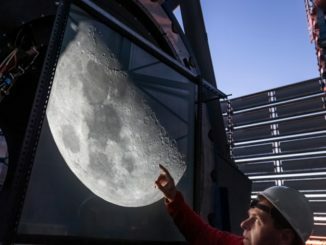 While removing a decommissioned instrument from one of the four telescopes making up the European Southern Observatory’s Very Large Telescope, astronomers took time to enjoy an unprecedented view of the Moon. 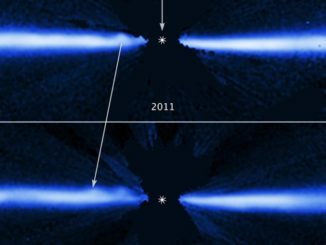 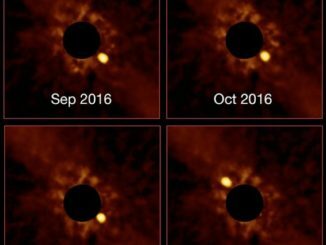 ESO’s Very Large Telescope has captured a remarkable series of images showing the hot, young exoplanet Beta Pictoris b moving in its orbit from one side of its star to the other. 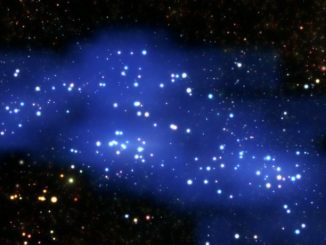 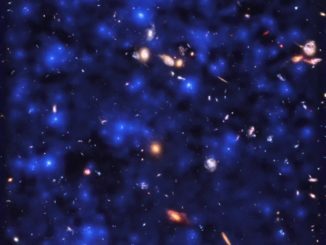 Vast clouds of atomic hydrogen in the early universe glow an ultraviolet blue in unexpected results indicating Lyman-alpha emissions across the entire sky. 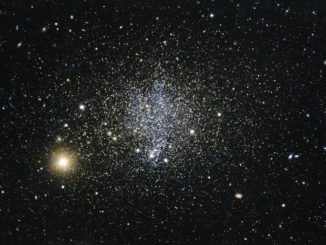 The Phoenix dwarf galaxy defies easy classification, without enough mass to form new stars but. 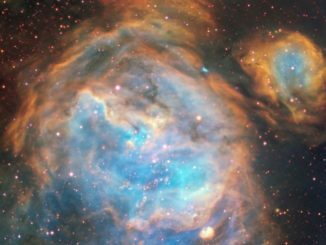 But gas ejected from supernova blasts indicates star formation in the recent past with the possibility of more int the future. 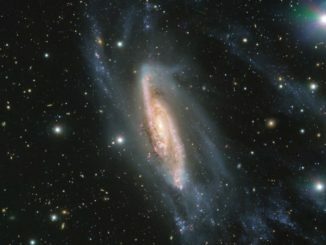 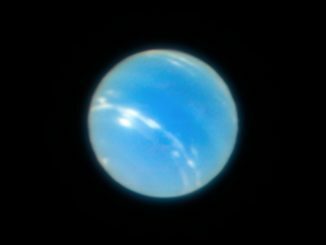 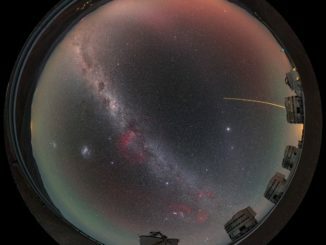 A new adaptive optics system being tested on ESO’s Very Large Telescope provides a level of image sharpness that rivals or exceeds the Hubble Space Telescope in narrow fields of view.